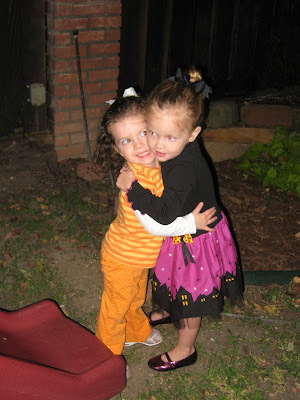 We loved our Halloween tradition with some great new friends. 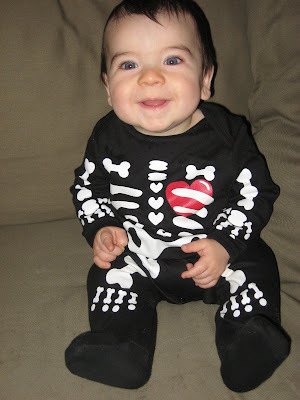 Last night, we attended a Monster Mash at the Millers. It was SO much fun! 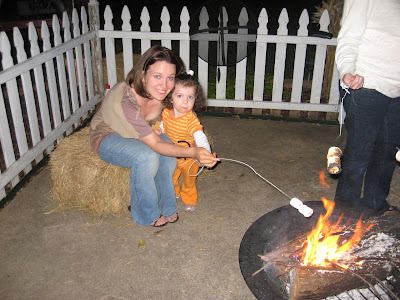 What Monster Mash is complete without roasting smores? 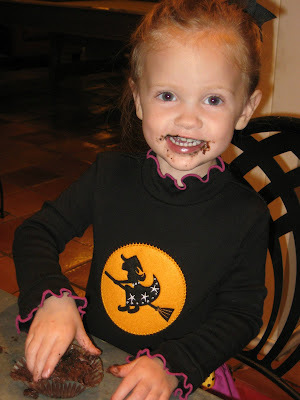 Molly had a little difficulty handling the messiness of it all but she worked through it. 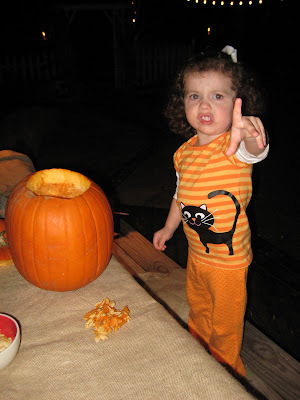 Here she is showing me her pumpkin goo and telling me "ouch". Silly Molly...it doesn't hurt. I made some "6 legged" spider cupcakes that turned out okay. The eight legs on it just made it a little too busy. Avery didn't mind the inaccurately depicted insect. It was was some true best friend fun! Our kids were up WAY past their bedtime but did great. Molly had one meltdown at home but that was it. 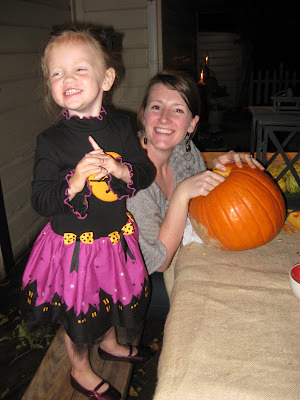 She is pretty much in love with her "Happy Pace Pumpkin". 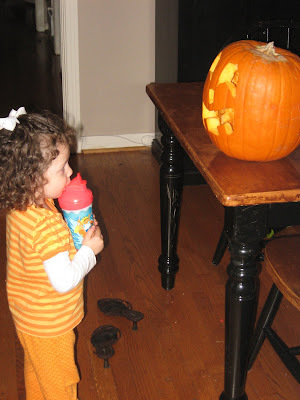 Last night when she was SO tired we rounded the corner to see her in complete dialogue with her pumpkin. FUNNIEST THING EVER. Such cuties! Love the costumes!